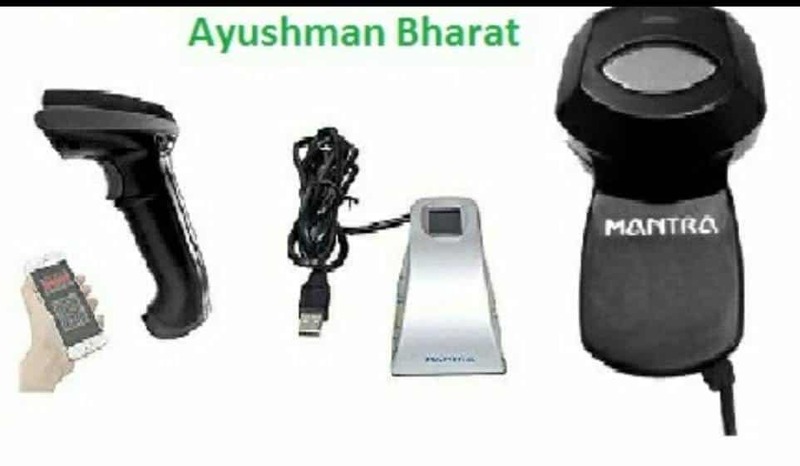 Currently, Aadhaar based Biometric machines are supporting various social welfare schemes rolled out by Government such as Atal Pension Yojana, Pradhan Mantri Gramin Awaas Yojana, Rashtriya Bima Yojana, Janani Suraksha Yojana, Smart Cities mission and many. Our Aadhaar based Biometric devices are best suitable for flawless implementation and handy utilization for verification of patients by different Hospitals, Dispensaries and Wellness Centres. 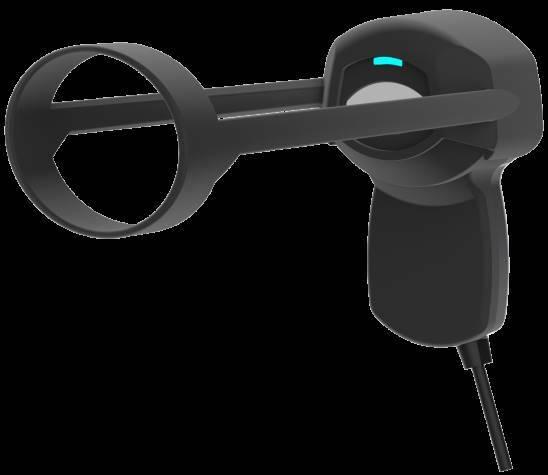 The device based on leading edge technology utilizes Fingerprint and Iris Scan methodology for identification of the patients. Our devices streamline the identification process of the patients during the claim procedure. Iris recognition is an automated method of biometric identification that uses mathematical pattern-recognition. MIS100V2 is an ultra-compact, auto-capture camera module, complete with onboard iris recognition. MIS100V2 OEM module features superior iris matching and iris image quality assessment algorithms to provide good quality images. The Ayushman Bharat Yojana is a government-sponsored healthcare scheme benefiting the beneficiaries. The Ayushman Bharat Yojana will engage hospitals and wellness centers across the Nation that will play a critical role in paying attention towards healthcare of an individual. Under Ayushman Bharat Yojana, a beneficiary requires to visit the Hospital or Dispensary preferably with Aadhaar card or any other Government ID for the verification of an individual. The Ayushman Bharat Yojana is the biggest government sponsored health care scheme in India that aims to serve the poor. The scheme helps in providing the health care benefits to needy people while the Beneficiary Identification System (BIS) adopted in Hospitals aids in streamlining the whole process. Additionally, the system assists in verifying an individual and their families. 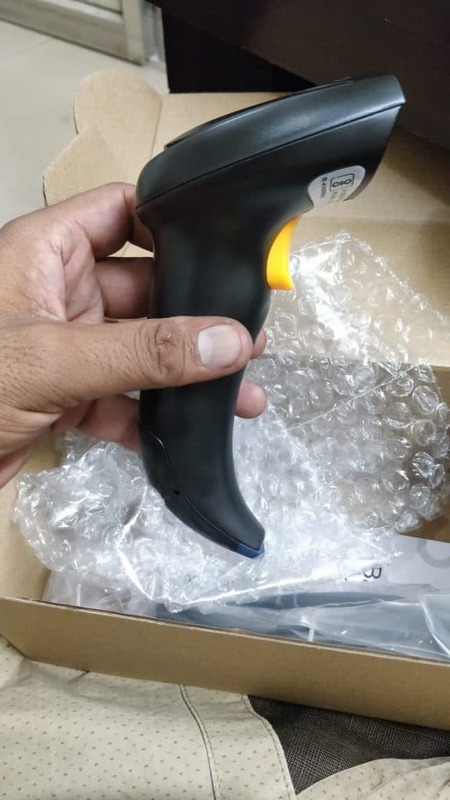 However, for a well organized Identification process, the cutting-edge Biometrics technology is desirable. Flowchart displayed above will give a broader view of how the BIS work. PC Computers / Network Security, AFIS, AEBAS, Time and attendance, Health and Medical, Skill Development, Smart card application, UIDAI, NREGA, Public applications, Jeevan Praman and PDS. The Ayushman Bharat Yojana will engage hospitals and wellness centres across the Nation that will play a critical role in paying attention to health care of poor people. 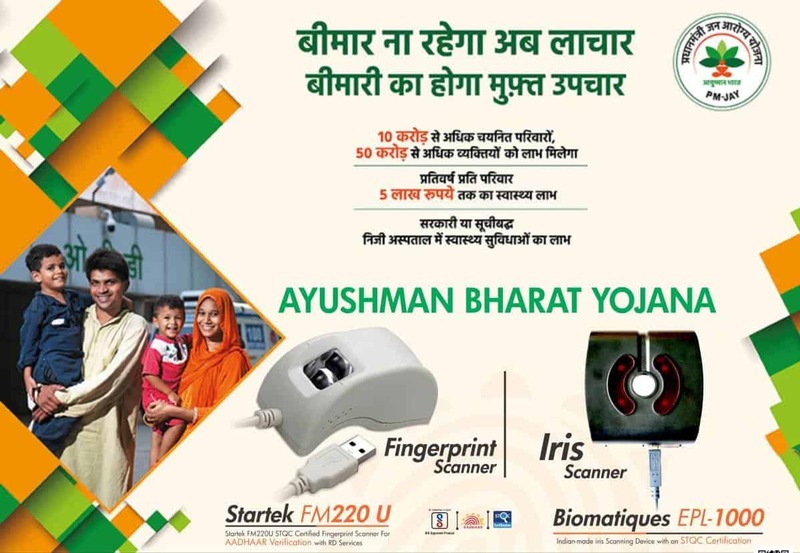 Under Ayushman Bharat Yojana, a beneficiary needs to visit the Hospital or Dispensary with preferably Aadhaar card or any other Government ID for the verification of an individual. The scheme aims at providing health assurance to 10 Crore families. 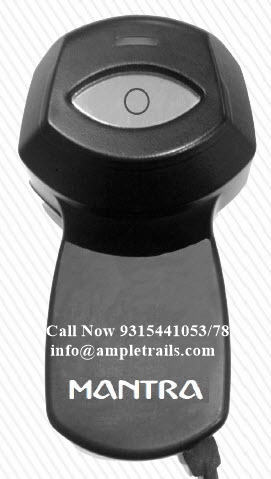 Email us at info@ampletrails.com or call us at 9818390836 for pricing of this machine.